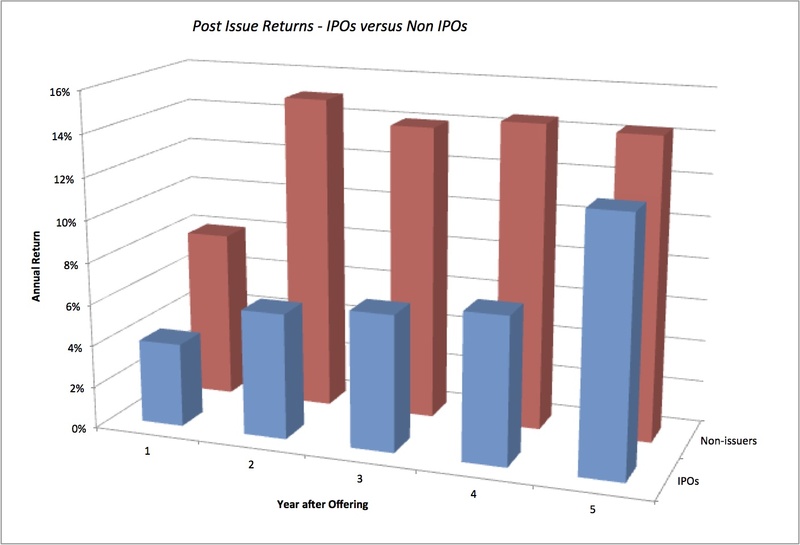 Musings on Markets: Facebook: Playing the "IPO pop" game? 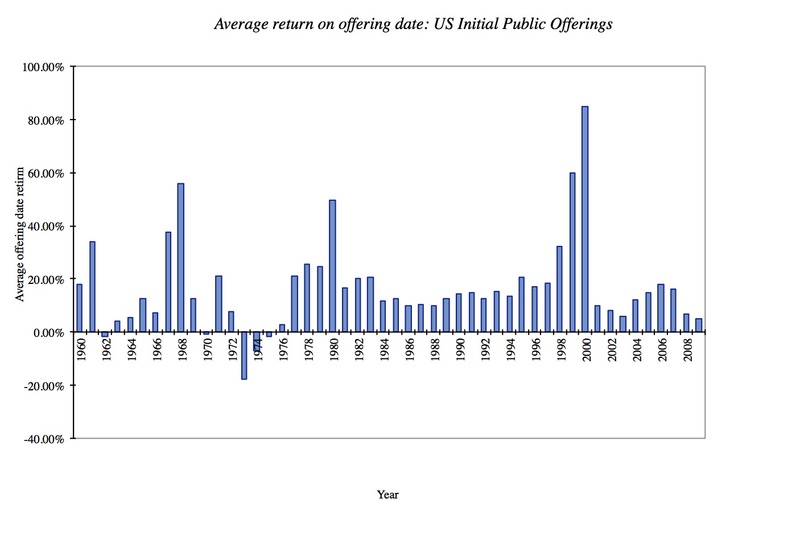 World over subscribing to IPO's is akin to playing the lotto. Today in India the IPO of a commodity exchange was oversubscribed 43 times! My view is why the rush - all companies will at some point be undervalued by the market (Amazon I am sure has offered umpteen entry points over the last decade) and patiently tracking the stock will most likely offer good entry points with the added benefits of the froth being taken out, history of performance, and you can buy the quantity you want instead of having to settle for a small fraction of what you applied for. 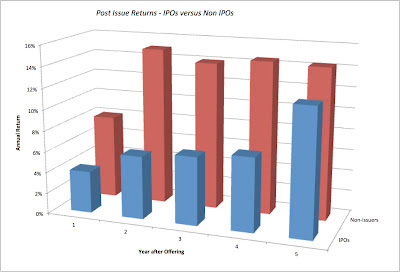 One may get a better percentage gain on an IPO pop but the bigger dollar value of gains I think will come from investing later. 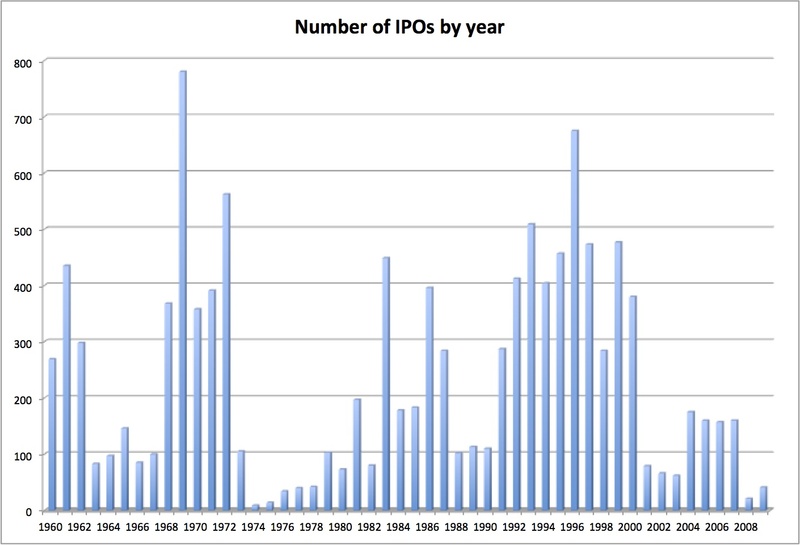 I've always wondered why IPOs work the way they do. They make little sense game theoretically. A k-th price auction, or just about any kind of auction, would make more sense for the issuer. 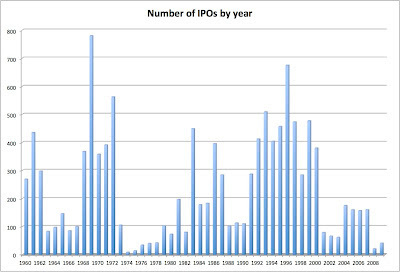 Unless IPOs are not about raising equity efficiently, but are more about generating buzz about the company. I don't get them, and I don't trust IPOs. Google did do an auction, but they are the exception. And I think you have nailed the reason why we should not make too much of the pricing of an IPO. It is a kabuki dance, designed to distract and enchant you... and soften you up for future sales pitches. One thing you should know though,regarding the lemming allegory you use in valuation- lemmings don't really commit suicide.. In the disney film that originated the myth, they actually trapped and scared them into falling deliberately. Disney can get quite crazy sometime. Looking for the Uncle who smirked at me commenting "you are an mba in finance and don't put money in ipos to flip them on the first day!!!". Want to show him the post. Uh, great theory, prof, but you forgot one thing. You need to specifically address the Facebook IPO on its own. If an investor thinks Facebook is the Google of social media, just buy the danged IPO and stop worrying. Look at the global reach of Facebook which has barely scratched the surface. Why the rush? Well, the buzz and if you compare to Google (another co. that started where people wondered how the heck can this entity even make money?) I'd say get yourself some Facebook stock somewhere along the line as part of an overall portfolio. Basically, this prof is overanalyzing the entire IPO market much like "experts" do comparing ETFs to mutual funds. You have to look at each stock on its own within that overall framework. 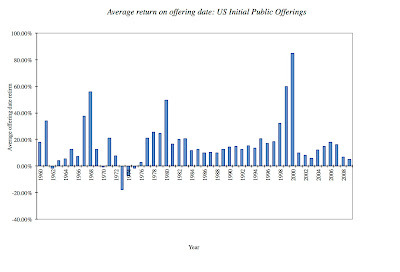 Holy smokers, the lesson on IPOs was unnecessary. All that has been done elsewhere. 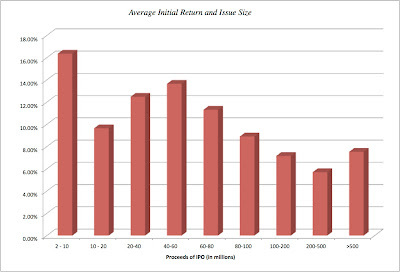 Give us some real analysis of Facebook's IPO not the entire IP) market. I thought that is what I did on my previous post, when I valued Facebook in detail. I am not sure what exactly you would do that was specific to Facebook for the IPO. 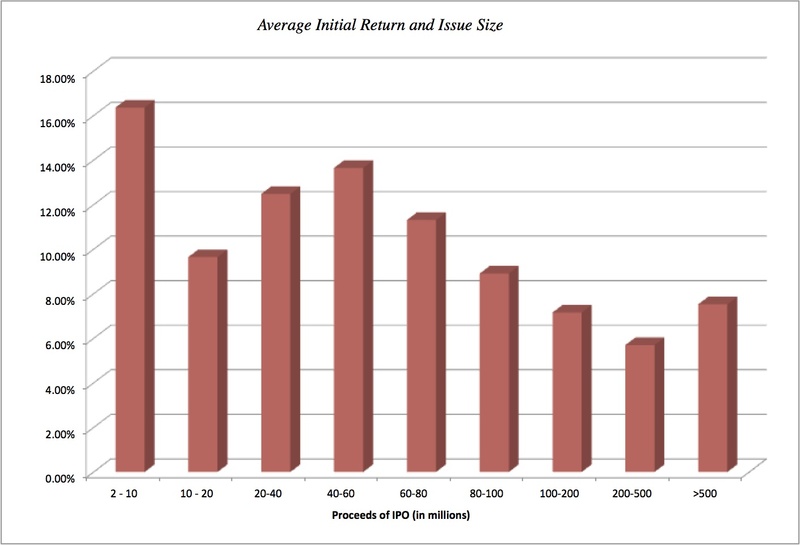 Once you have the value, all you are doing is playing the IPO game. How about trying to play the "pop" game a different way. Say Facebook shares open at $30 /share and pop to $45. When they hit $45 I buy put options with a strike at $35 that expire in 300 days. Presumably, the stock will pull back from the pop (as usually is the case) in the weeks or months after the IPO. Once the stock falls back to earth I exit my position for a tidy profit. If I view the stock as over-valued, wouldn't this be a relatively safe way to bet that the "pop" is only temporary? Today Facebook place a vital role in our life, it's became part of user life. It having many features and games in it, for it lots of users are exist. Thanks for sharing such an interesting information with us. Facebook is a classic example of a pure pump and dump scheme. fantastic post, very informative. I expect reading more.